A bit of a letdown ! Having read so many reviews complaining of service, the only thing that was top notch was service Today. 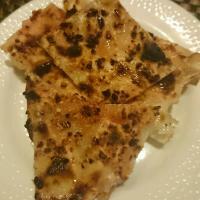 Food was just above average because of two good items – Kabuli Naan and Rabdi. 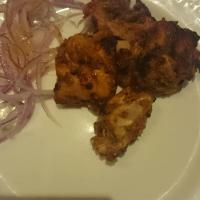 Other items like Kadhai Chicken and Achari chicken tikka were not bad in taste but nothing out of the ordinary really. I expected the dishes to be much much better than what was served especially for the price we paid. Malai Kulfi was good in taste but felt a bit icy which was a letdown as that’s what a Kulfi should avoid at any cost. The most surprising part though were all kind of taxes and charges added to our bill. The bill before taxes was 1400 for two but after all kind of service charges and taxes were added the final amount was 1840 bucks. Now I would want to pay that kind of amount at a Five star any day for some lip smacking food but this was a total letdown to be really honest. This is just ordinary food at 3 times the price that you can get at any mundane eating joint, not coming back again.